How important are mouthguards for dental patients? Happy weekend everyone! I hope you are safe and sound, having a good time and smiling all the time. Today I want to tell you about a really cool item that can save more than one of you precious smiles. Lately talking to some patients I have noticed that some of them have trouble stopping grinding their teeth. As you may know, grinding your teeth can cause serious consequences in your oral health. That is why today I want to talk a little about this and help you overcome this tedious problem. I have heard so many stories about how patients start grinding their teeth because of nerves, anxiety and such. It always starts with a little everyday but then it snowballs into a toxic behavior. The obnoxious thing about it is that sometimes it is even unconscious, during their sleep. This is why it is so important to understand the causes first, to detect the roots and tackle it to get rid of grinding forever. According to the ADA patients can grind their teeth because anxiety and stress. But that is not all, psychological reasons can also determine a person behavior, like a OCD for example. It is really important to work on a good mental health to gain also a good dental health. As I stated above, grinding your teeth can be a consequence from having anxiety and stress. So If we can lower your stress levels and anxiety you will be grinding your teeth much less than before. My first advice is to consult with a professional on the field, like a therapist to get better results faster. But that does not mean that there exists some things you can do on your own. Exercising regularly can help to lower your anxiety by a lot. Besides you will get that beach body in no time. Having a nice balanced diet can help a ton too as there are certain foods that can skyrocket stress and anxiety. Avoiding any vices like alcohol and tobacco can work wonders too, they don’t just ruin your teeth but affect your overall health too. 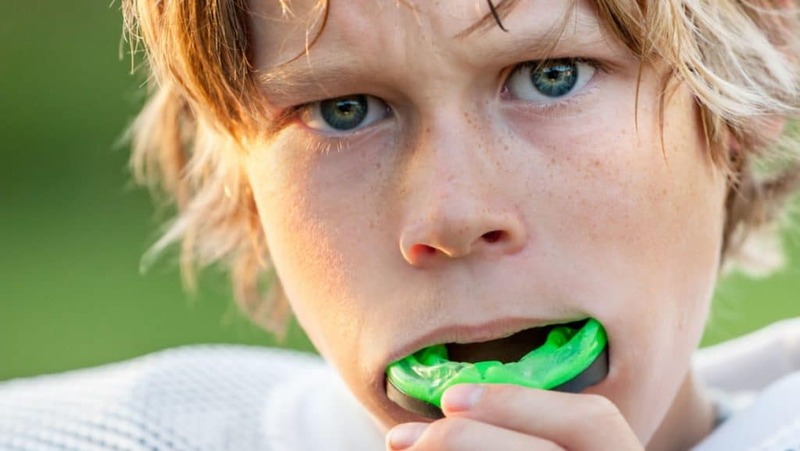 What is a mouthguard exactly? You can say that a mouthguard is a dental piece that covers your teeth. Traditionally used in sports like boxing to pretect teeths from impact and damage, you can find mouthguards specially made for dental health purposes. You can get a mouthguard from our dentist (like us) and you can use them all day if you want to. At night when sleeping is really important to use them because they protect your teeth form the grinding. It is really important to wear them usually to avoid grinding too much your teeth in case you are having trouble stopping. Grinding your teeth can wear down the tooth enamel, l eaving it vulnerable to caries and plaque. In some extreme cases, patients can simple lose their tooth or wear it down until it gets very tiny. I know it is hard to stop sometimes, but a mouthguard will help you greatly if you are willing to get one. If you want the best prices for dental treatment and mouthguards do not waste more time and come to Dental Solutions in Los Algodones Mexico. 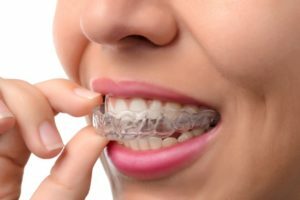 We have excellent mouthguards custom made for you and the best specialist to guide you and help you overcome teeth grinding so you can smile while and bright again. Remember to brush every day at least twice a day, to avoid sugar and to smile a lot! Cheers!